Very good twin USB charger which can be charged with lightning charger, best price for a while. Really frustrating that they don't deliver to Northern Ireland. Is this usb c aswell? Do you know what the times I have seen this same comment don’t deliver to Northern Ireland and I’m like wtf why? I work for a company that use both ‘ parcelforce ‘ TNT ‘ DHL’ etc and they all deliver to Northern Ireland so can’t understand why amazon cba to use any of these and charge a few Euro’s the difference. 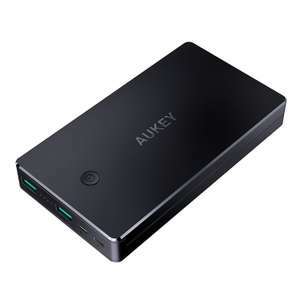 This a great power bank? Yeah it's ridiculous for a company the size of Amazon. I paid £23 for the 16000 one on eBay yesterday because nowhere else would post. Damn it, £21.49 prime think u got the last discounted one? £21.49 now or am I missing something? Appreciate the gesture anyway, thanks! There was only 10 minutes left on the lightning deal when I ordered.